What are your thoughts about DMI 2015 now that we’re a quarter in? Would you like to file a “quarterly report” in the comments to this wrap up post? I’d love to hear how everyone is doing, especially those new to the challenge this year. Jason at Literature Frenzy shared his thoughts on many stories since our last update “Ray” by Guy Vanderhaeghe http://literaturefrenzy.blogspot.com/2015/03/deal-me-in-challenge-ray-by-guy.html Theodore Sturgeons “Microcosmic God” http://literaturefrenzy.blogspot.com/2015/03/deal-me-in-challenge-microcosmic-god-by.html “The Passenger” by Vladimir Nabokov http://literaturefrenzy.blogspot.com/2015/03/deal-me-in-challenge-passenger-by.html “A & P” by John Updike http://literaturefrenzy.blogspot.com/2015/03/deal-me-in-challenge-by-john-updike.html and he also covers a bunch of stories in the collection “The Complete Stories J.G. Ballard” http://literaturefrenzy.blogspot.com/2015/03/deal-me-in-challenge-jg-ballard-part-i.html A busy week for Jason! See you in the 2nd Quarter! Hello all! Below are links to new posts since the last update. See you next week! Benjamin Percy’s story “Dial Tone,” features a troubled narrator, one who works a monotonous and soul-sucking job as a telemarketer. A job that sometimes leads him to a point of self-loathing that I’ve always thought telemarketers HAVE to feel. This narrator (not named, though he refers to himself as “C-5” – his location in the “vast hive of cubicles” at work) is self-aware enough to realize he is close to “losing it” but he doesn’t change jobs, even though employee turnover at his company is about as high as one would expect. “A jogger spotted the body hanging from the cell tower.” This was actually the first sentence of the story, and with an intro like that, the reader knows right away that this tale will not be a pleasant one, and it certainly isn’t. Where it gets you (or me at least), though, isn’t through raw violence, but an insidious evil that may be present anywhere, waiting to seize and control us at an opportune moment. Has it happened to him? Below are new posts I’ve found (through yesterday, 3/15) since the last update. If I’ve missed you, leave a comment and I will link back. Katherine at The Writerly Reader read Elmore Leonard’s “How Carlos Webster Changed his Name to Carl and Became a Famous Oklahoma Lawman https://katenread.wordpress.com/2015/03/14/deal-me-in-week-11-how-carlos-webster-changed-his-name-to-carl-and-became-a-famous-oklahoma-lawman/ there’s also an “Is This Your Card?” feature this week. Jason at Literature Frenzy read Dorothy Parker’s “Oh! he’s Charming!” http://literaturefrenzy.blogspot.com/2015/03/deal-me-in-challenge-oh-hes-charming-by.html http://literaturefrenzy.blogspot.com/2015/03/deal-me-in-challenge-oh-hes-charming-by.html Jason is also rating his stories (scale of 1 to 5 stars). I think he’s the first DMI participant to do this. Yet another DMI wrinkle! 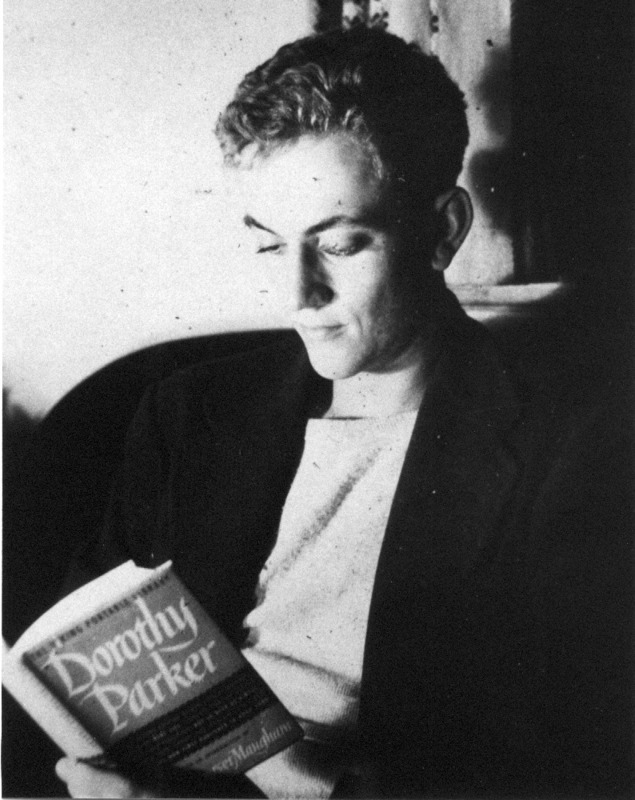 Deal Me In trivia: Can you identify the very young (long before he was famous) author reading Dorothy Parker in the photo below?? 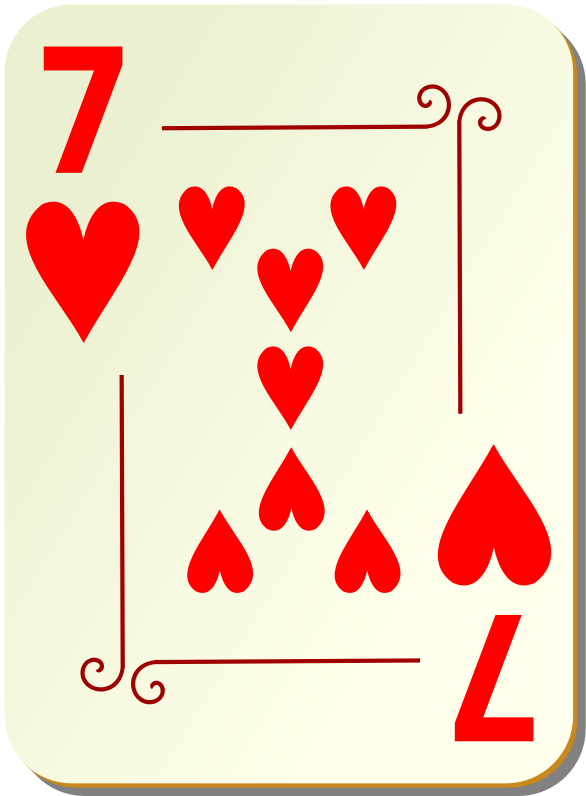 In my Deal Me In short story reading challenge, I pick fifty-two stories at the start of the year, assign each to a card in a deck of playing cards, then draw one at random every week until I have read them all. Fifty-two cards in a deck, fifty-two weeks in a year, right? The past few years, some other bloggers have joined me in this annual project. They are listed in my sidebar of “Deal Me In 2015 Participants” if you’d like to check out some of the stories they’ve been reading. Also, in the past few years I’ve included a story from Rebecca Emin’s collection “A Knowing Look and Other Stories” in my short story deck. Since I’ve enjoyed those stories, I saw no reason to discontinue this practice in 2015. Regarding this story, I’m finding it impossible to write much about it without giving too much away, so I’ll Just say a few things and let you discover it for yourself if you’d like to buy/try it. The collection is a mere $2.99 on amazon as of this writing (kindle version) I’ve posted about a couple of the other stories in this collection before. Here and here if you’d like to take a look. Authors sometimes employ a clever technique to get you to read a story twice. I tend to think of it as the “wait! what? !” moment. They throw a big “reveal” in at the end of their story that makes you reconsider what you’ve read so far, wondering “Did I miss something?” The reading victim then goes back over the story to look for clues or “holes” in the way the author has ’set you up’ for the wait! what? moment. This happened to me with this story, and – on my second “pass” – I came to appreciate the surprising twist even more. At first I thought I had found a problem with the big reveal, thinking, “Aha! Well, if “A” is true, then how do you explain character “B” doing thing “C” on page X!?! ?” Then I re-read “page X” and the next couple pages a third time and thought, “Oh, maybe thing “C” wasn’t what I thought it was either…” And so on. Can you think of any other good examples of the W!W? moment in your reading. How do YOU like being tricked in that manner? Below are links to the new Deal Me In posts that I found this week. If I’ve missed anyone, please let me know in a comment, and I will update this post. Oh, I almost forgot, Katherine is also doing the “Lunar Extra” add on to the challenge and read Edith Wharton’s “The Journey” See https://katenread.wordpress.com/2015/03/04/deal-me-in-lunar-extra-a-journey/ for details. Before I talk about the story’s specifics, though, humor me for a moment, okay? I want you to think back to your childhood and try to recall which were the first stories that you remember. Take a moment… all right, done? If you’re like most, they were likely ‘bed time stories’ or ‘fairy tales’ or maybe, most simply, the kind of stories that began with “Once upon a time.” Marian Allen’s “The Warmth of Midwinter” gave me that kind of feeling. It’s the kind of feeling that I enjoyed experiencing again. **Some spoilers follow** Though related via an old storyteller in a framing story (told during a midwinter festival), our actual protagonist is named Andrin; he’s a very old man who lives in a stone cottage near his grandmother, Verrina. (“Don’t laugh, my children, for even very old men have grandmothers, you know.” – Our old storyteller advises) I should mention that Andrin also has a chicken. A magic chicken named Chandler. 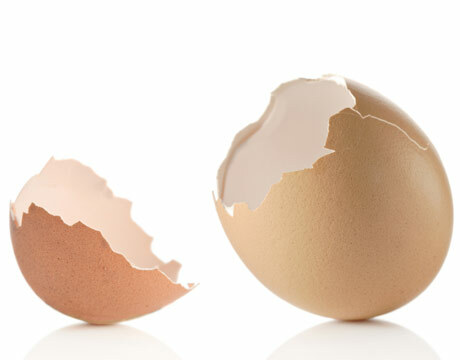 Each day, Chandler lays an egg and Andrin has but to think of what he needs and lo, when he cracks the egg open, it will appear for him. A pretty sweet deal for Andrin, who is now living in harsh exile along the banks of the Fiddlewood River, having been banished by the despotic ruler of Layounna. Andrin’s existence in exile is disturbed one day, however, when Chandler alerts him to the presence of an unconscious young soldier (a “Sword” in the parlance of Layounna) who has “washed ashore” along the banks of the River. Andrin knows that this will lead to unwanted attention and thus trouble, but he is not so hardened as to not provide aid to the injured if arrogant young soldier. He learns the story of how the Sword came to such a pass: the young man, having attempted familiarities with the pretty young wife of a dairyman, was discovered by the husband and pitched off a bridge into the rapidly flowing waters of the Fiddlewood. It might seem that the incident could have ended there with “no real harm done,” but the Sword’s comrades are intent on finding him and avenging his indignity. Verrina tells Andrin and the Sword the regional gossip and of how the Sword’s cohorts are turning the countryside upside down looking for him, using his disappearance as an excuse to commit more misdeeds, including the slaughter of the dairyman’s milk cow. At first the Sword is unsympathetic to these stories, but will time spent in the ‘magical’ environment of Andrin’s cottage lead him to change the way he thinks? Then, when the Sword is preparing to depart, Andrin is surprised to see that his chicken has laid a second egg of the day. It has always laid just one in the past. He and Verrina realize that, since they have a ‘guest,’ the second egg must be for him, and send him on his way with it. Will he use its magic for good or to further his own greed, though? Perhaps that question is what makes the story more of a fairy tale. As my regular readers (both of them) know, I’m fond of observing coincidences in my reading and in life generally. I don’t believe in them, but I enjoy them. Every now and then in my reading I seem to hit a pocket where themes recur over the course of a few weeks or a stretch of books and stories. The latest has been a spate of Shelley/Frankenstein-related reading, including one book club which just read the “original, uncensored” version of that classic, and a friend who just randomly last week “finally” returned my copy of “The Sufferings of Young Werther” after having it for quite awhile. (That book was one of the three fortuitously found by Frankenstein’s Monster in that “leathern portmanteau” in the woods.) Then, for the Fenruary meeting of the Kurt Vonnegut Memorial Library book club, we read a collection of his WNYC radio pieces (“God Bless You, Dr. Kevorkian) where he “interviews” people in heaven. Who do you think was one of them? Mary Shelley, of course. Add to that, a fellow DMI’er (at Behold the Stars) recently posted about a Percy Shelley poem. 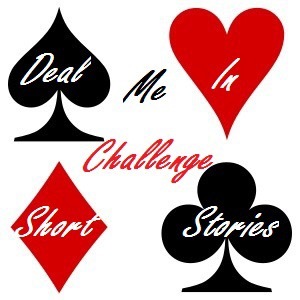 When I drew the two of spades – a wild card – for this week’s Deal Me In read, I thought I may as well continue the trend and chose to read Paula Cappa’s short story “Beyond Castle Frankenstein,” which I own via an e-copy. I’ve followed Paula’s excellent blog for a few years now, and her weekly “Tuesday’s Tale of Terror” has provided me with many great introductions to hitherto unknown to me stories and authors. Paula is also a published author herself, and I have one other story of hers (“The Magic of the Loons”) already assigned in my 2015 Deal Me In roster. Below: the “Casa Magni” on the coast of Italy – once the home of Percy Bysshe and Mary Shelley. This tale is sort of a story within a story. We have a modern day narrator who describes a visit to a location where a painting of the Casa Magni once resided. He articulates that “I had come here to observe the ghost of an old painting that once lived here. There are such things as phantoms of paintings.” An interesting concept, and one I’ve never given much thought. Do you think there are such things as phantoms of paintings? The meat of the story, however, is a different treasure within the painting. Literally. The narrator had purchased the piece and was committed to restoring it after years of normal though significant depreciation. In preparation, he notes that it has a rare double backing and in between the backings he finds “a thinly folded yellowed handwritten letter.” The narrator believes he has found “the soul of the painting,” and indeed he may have. What the letter proves to be is a missive written by Mary Shelley to the ghost of her husband (Percy Bysshe Shelley)! Was her written entreaty read or heard by Percy’s ghost? By anyone? I enjoyed the story – as much for itself as for knowing that it will lead me into further interesting reading… There is some mystery Surrounding the death of Percy Shelley and much speculation that he may have been suicidal. There are also stories that his heart was preserved and its calcified remnants were kept by Mary until her death (wow). With the very limited ‘research’ I’ve done so far I don’t know if this latter is true, but I‘d certainly like to read more about the Shelleys. Above: an artist’s imagining of the burning of Shelley’s body on the Italian beach where he washed ashore after drowning. From the department of good news: we have a new participant joining us. Jason at Literature Frenzy! has picked up the Deal Me In 2015 gauntlet. His roster of stories may be found at http://literaturefrenzy.blogspot.com/2015/02/deal-me-in-challenge-2015.html If you can, please take a moment to check out his list and welcome him to the group!